Guyana, Suriname and French Guiana are far off the South Americas Gringo Trail. 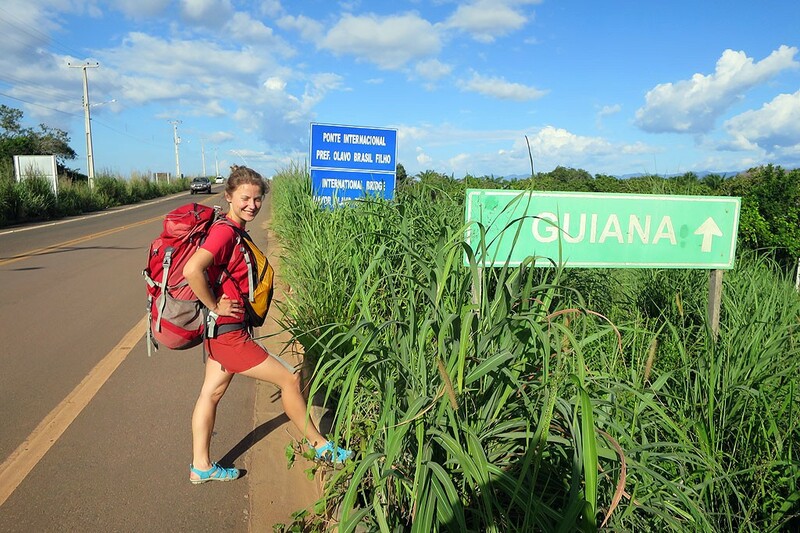 Indeed, getting there overland is very time-consuming, but perhaps what keeps most people from visiting the Guianas are the very high prices compared to other countries in the region. Backpackers who do decide to visit the three countries arrive either to French Guyana (from the Brazilian town of Macapa via border crossing at Oiapoque to Cayenne) or to Guyana (from Brazilian city of Boa Vista via border at Lethem/Bonfim to Georgetown). Between Cayenne and Georgetown the most popular travel route is to stick to the coastal highways. Any serious deviation, necessitating a flight to the interior of either Suriname or French Guiana, would cost at least 200-250 USD return. 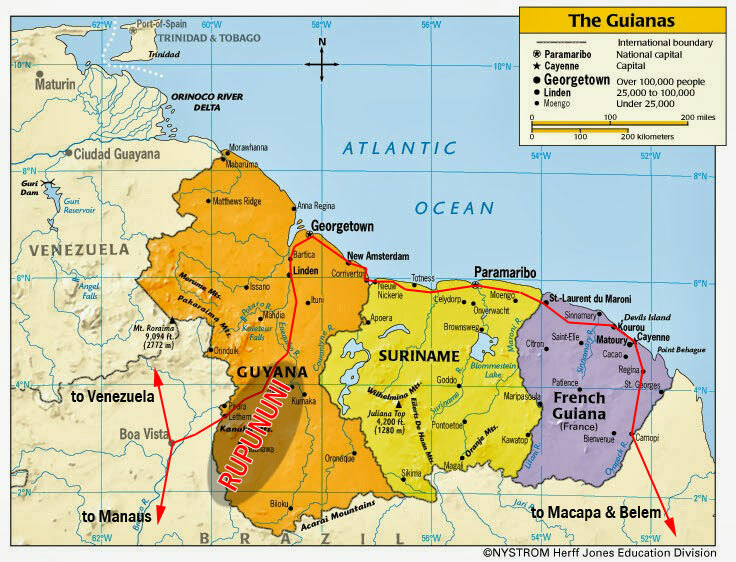 Map of the Guianas and the „mini-Gringo-Trail” marked in red. 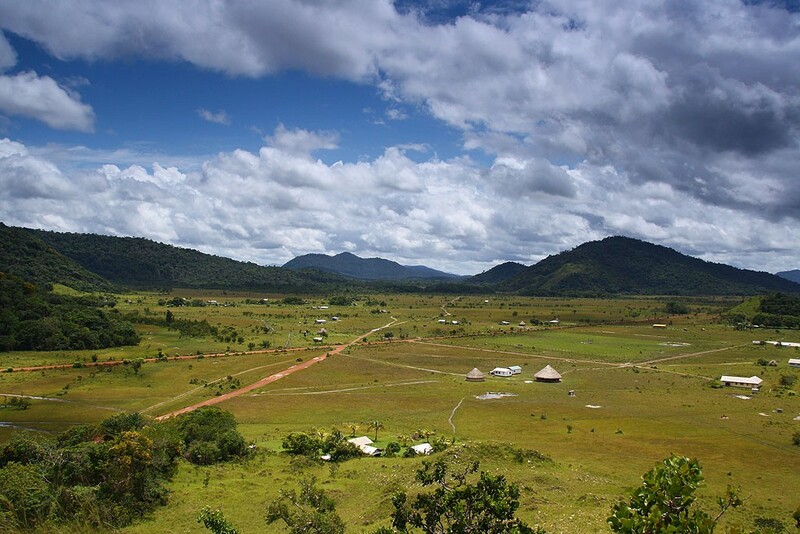 Rupununi, which we describe below, is an interior region of Guyana. 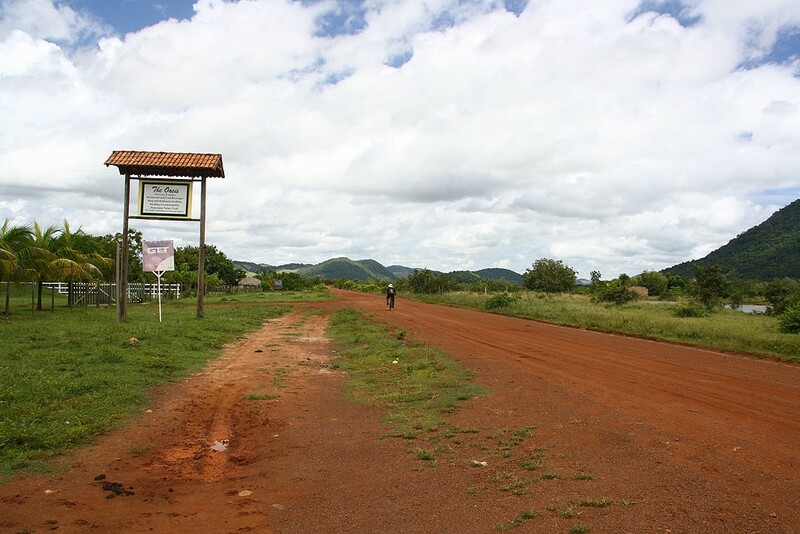 It starts at the border at Lethem and extends into the direction of Georgetown for about 200 kilometers. When travelling overland through Guaianas, it is therefore the most logical place to taste the life in the interior, as you are already there when you arrive from Brazil, or need to go there anyway if you go to Brazil. To lodge or to dodge? There are two mainstream guidebooks to Guyana. Lonely Planet: South America on the Shoestring does have a Guyana section, but we found it to be so general, that there is little use for it when you backpack on a tight budget. 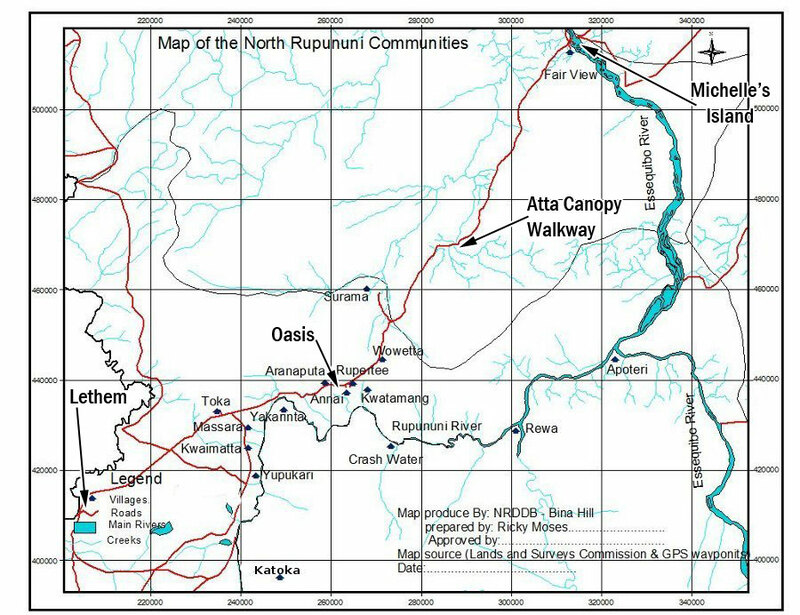 Worse, if you read it you feel that as if Rupununi was a land of very-expensive-lodges-only. 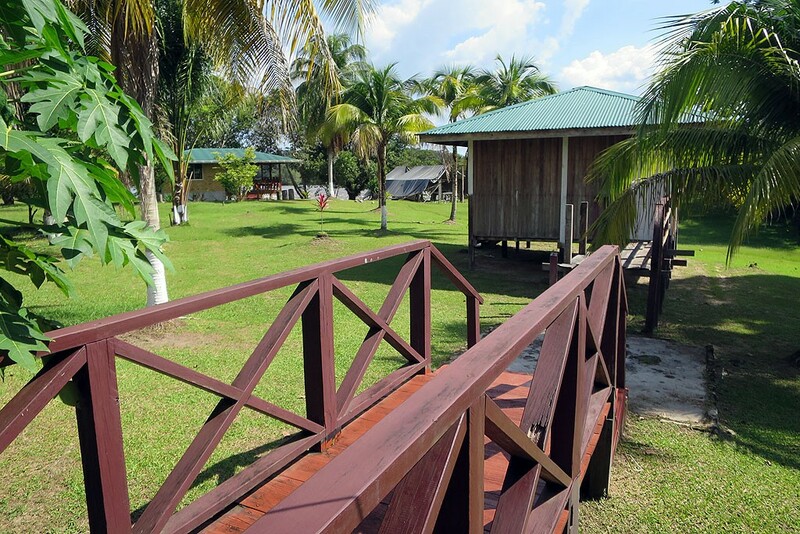 The limited choice of accommodation is the effect of intentional Guyana tourism policy. 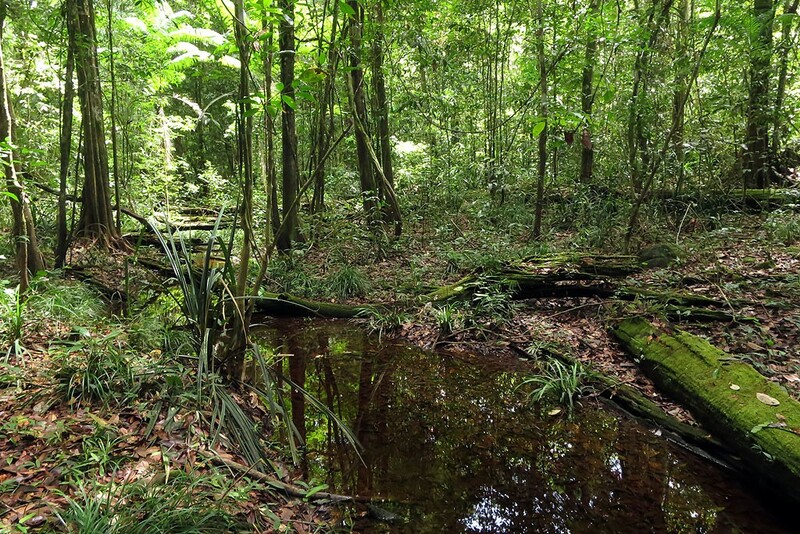 The country (Suriname copies this approach) promotes itself as an luxury ecotourism destination. High prices limit the numbers of tourists who come, but those who come on packages leave even 250-300 USD per person per day. Caiman House, Rewa Eco-Lodge, Karanambu Ranch, Iwokrama Lodge, Surama Eco Lodge, Rock View Lodge – the lodges in Rupununi are all probably very nice places, but the price tag is enormous. Before coming to Rupununi we investigated all these options in detail and the absolutely minimum budget to consider them seriously was 100 USD per person per day. 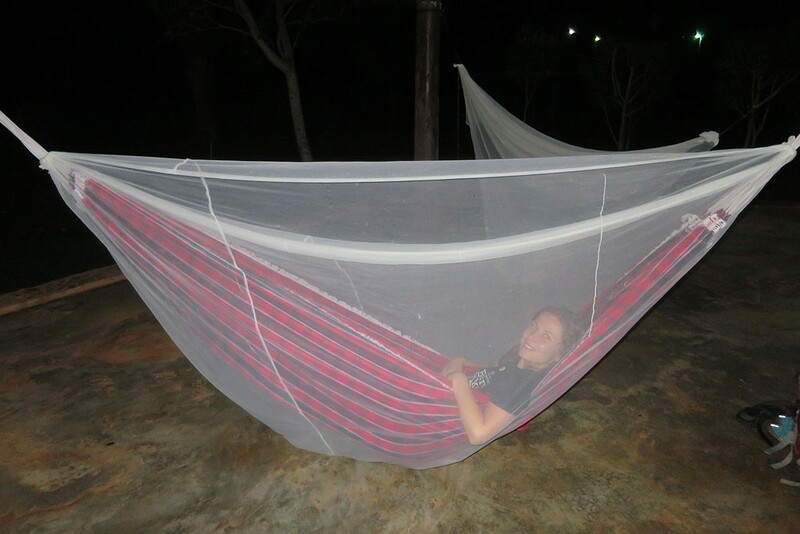 Caiman House was at the time the cheapest and had hammock spaces with 3 meals at 60 USD per person. 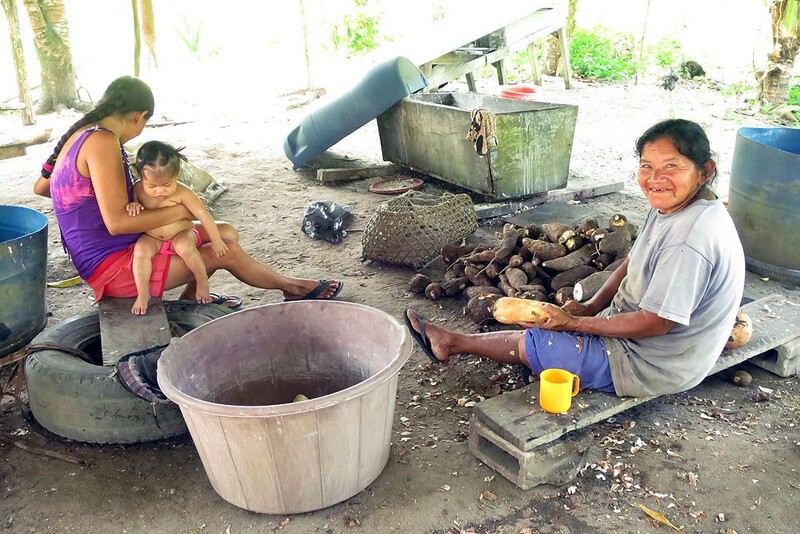 Their supply minivan left Lethem at around 14:00 – 15:00 on Mondays, Wednesdays and Fridays and cost 10 USD one way. If you wanted to arrive or leave at another time, they would send a minivan to pick you up for a hefty 200 USD one-way. If the costs we mentioned above don’t scare you off yet, remember that if apart from eating and sleeping you wanted to do any activities, they would be all very expensive. 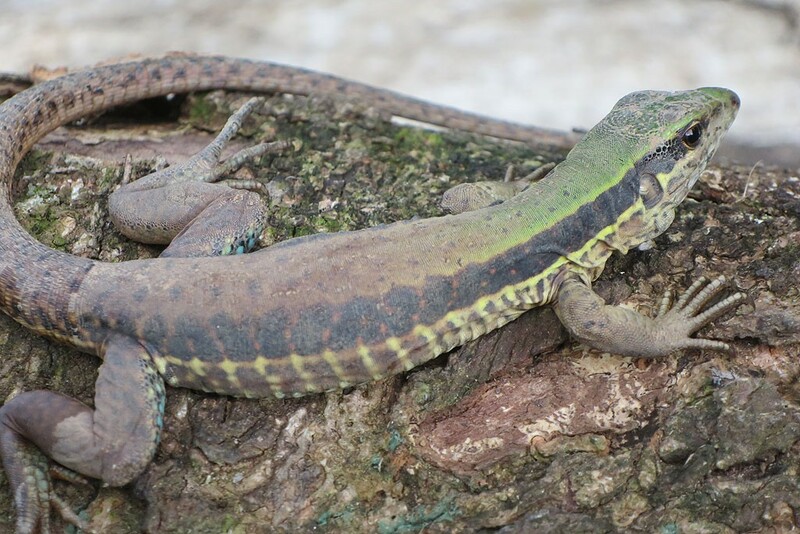 3-hour night trip to see the caimans – 120 USD. Boat trip for a day – 100 USD for two. Short jeep tour to see the anteaters? 140 USD. At first glance there is a big niche when it comes to budget- and mid-range travelling in Rupununi. Little surprise, most individual travellers after reading Lonely Planet decide to board the Lethem – Georgetown bus (or the other way round) and skip the region altogether. This is such a pity! 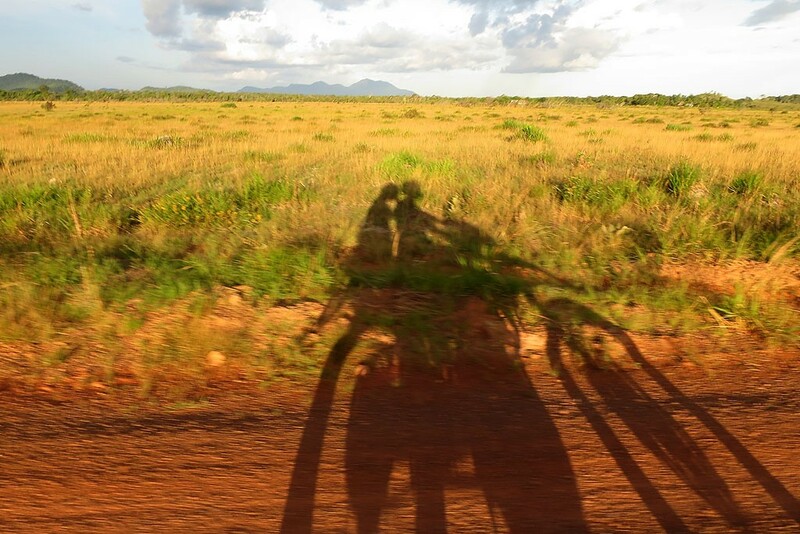 The five days we spent in Rupununi easily made it to our top 3 experiences during the South America trip. 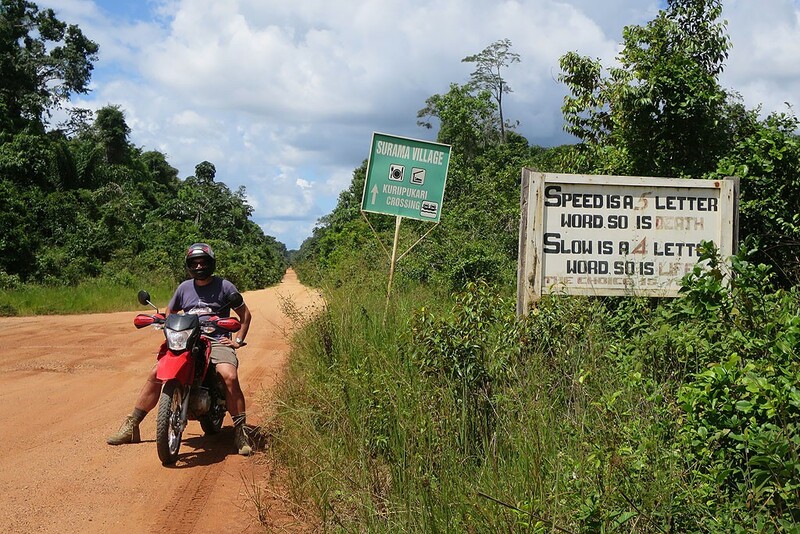 Sad to write this (as we are fans of Lonely Planet), but the Bradt guide to Guyana describes this country better and mentions at least a couple of cheap alternatives in Rupununi. Too bad we got our hands on it only during the fourth day of our stay in Rupununi. As of 2015 there was no e-reader version, it come only in paperback. It may sound obvious, but contrary to the rest of Latin America, in Guyana everyone speaks English (btw. we loved the local slang, ya overstand, broda?). 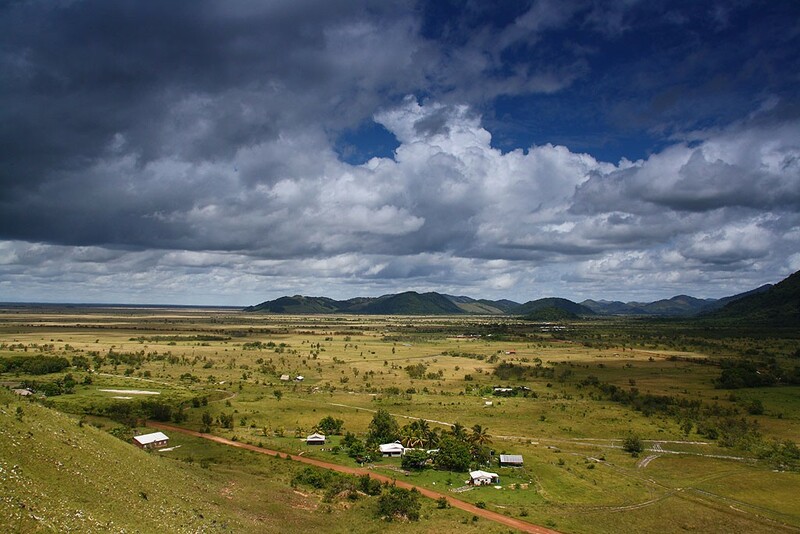 Also, Rupununi is the size of a Cyprus, but has a population of a couple of thousand people. Here everyone knows everyone. A local from a house at Essequibo River would know by name the person who works at a road shop 150 km away. The point is, people here would know who has a motorcycle to rent, who plans to go to Georgetown tomorrow, who knows where the wildlife is to be found. You don’t need lodges to assist you with information. The road from Lethem to Georgetown, coastal highway apart, is the single most important road in the country. Yet the section between Lethem and Linden is only a dirt track, 400 km long, traversing a dense bush. On most days there are not more than 20-30 vehicles travelling a day in each direction, and on some sections you don’t see any housing for tens of kilometers. We felt that to experience wilderness in Rupununi there was little need to deviate a lot from the main road. This approach will save you a lot of money, as the side roads see virtually no traffic and to get anywhere you would be forced to charter expensive private transport (think 1 USD for 1 km). Main road is the only road served by public transport, the crowded 4WD Toyota minibuses. Table below shows the Georgetown – Lethem travelling times & costs. 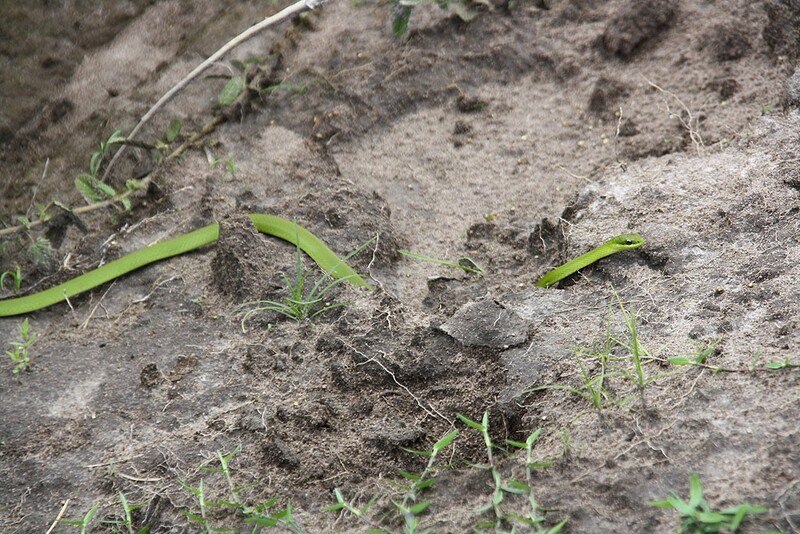 We traveled at the end of the rain season when the road was relatively dry. All timings and distances are of course approximate. Note: Iwokrama reserve (rainforest between Surama junction and Essequibo crossing) is closed for vehicles between approximately 17:30 and 4:30. Therefore when travelling by minibus from Annai to Essequibo an overnight stay at hammock camp at Surama junction is required. This extends travel time to 9 hours. During the day it is just a 2 hour ride, so it is much less tiring to hitchhike this section. Night is spent in hammocks on north side of Essequibo river. If you plan to stay at Michelle's Island, you can get there in the middle of the night - no need to sleep in hammock camp. Travelling on the minibuses is a little adventure in itself. We believe that the minibus drivers prefer to travel at night, because at night potholes are not visible so they can go faster. Similarly, during the day the general strategy is to accelerate the vehicle to such a speed, at which the traction with the red dirt is lost and at which the minivans can fly over the potholes. Everything happens in the rhythm of latest Georgetown folk music blasting at maximum volume. We were driving 90 km/h through a dense jungle, the track was wide just enough to accomodate one vehicle, sharp turns every couple of hundred metres. We asked the driver what would he do if there was any oncoming traffic. He just laughed and pressed the accelerator even more. Two hours later he was trying to fix his soundsystem, holding a cup of coffee in the right hand and tearing the minivan dashboard open with the left. All at such a speed, that even the local passengers asked him to stop so that he fixed it safely. One hour later we still haven’t stopped, and after collectively ripping the dashboard open five times, we managed to fix the soundsystem and the music resumed immediately. No need to stop! Lethem (population of a couple of thousand) is a dusty village full of giant supermarket halls intended for Brazilian day-trippers (we still haven’t figured out how it makes sense for those supermarkets to exist, as everything we bought in Guyana was much more expensive than in Brazil). Apparently a couple of years ago the supermarkets were located at Bonfim and it was people from Guyana who were travelling for shopping to Brazil. Maybe by the time you visit the hangars will switch river side again. Taxis in Bonfim charge to Lethem 20-25 reales (5-6 USD for just 6 km). We decided to walk and just after two minutes a Guyanese driver stopped and without us asking offered us a free ride. 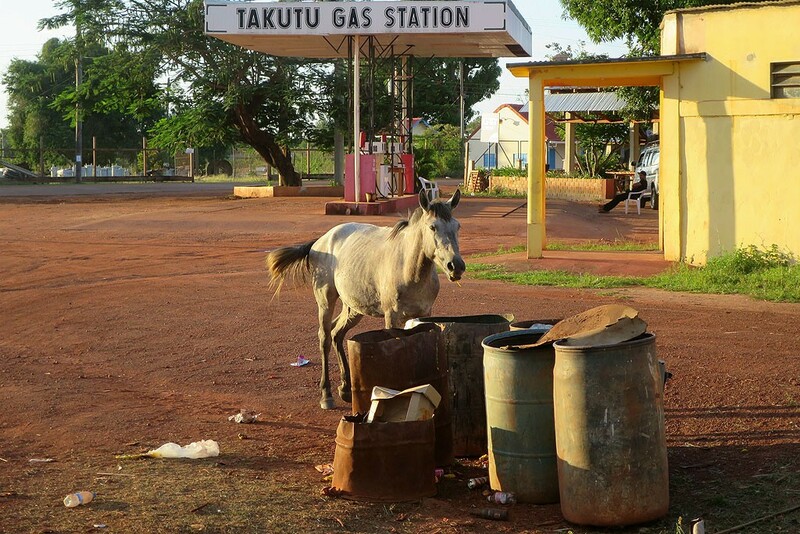 Everyone agrees that best place to sleep in Lethem is Takutu Hotel. Double room with A/C was 6000 GYD (30 USD), but you can also sleep in hammock for 1000 GYD (5 USD). When we stayed there was evening barbeque which cost us 1000 GYD each, beer was on top. The two places worth seeing next to Lethem are Kanuku Mountains (30 kms away) and Moco Moco waterfalls, also around 30 km away. The trip to waterfalls by taxi was offered to us for 60 USD, so we expect that to get to Kanuku you would need to spend 100 USD as the waiting time would be longer. Next to the Lethem airstrip, a couple of minute walk from Takutu is a place called Shirley’s Bar. 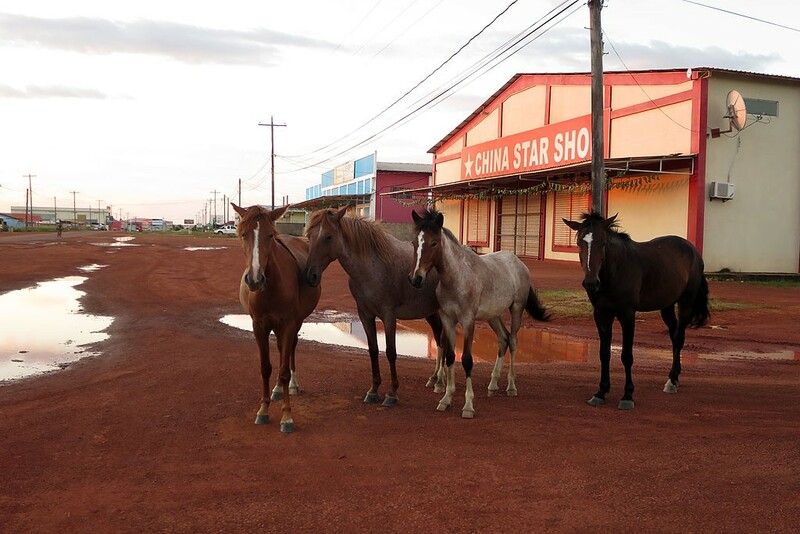 Shirley Melville (mobile +592 6694513) runs a small tour office called Rupununi Adventures. She has phone numbers and e-mails to virtually all businesses in Rupununi and while in Lethem if you want to confirm / ask / double-check anything her office is the place to go. Expect to pay 3-10 USD depending on the level of complexity of the task required from her. In order to buy Guyanese dollars it is best to exchange reales while still in Brazil in Bonfim. In Lethem, next to Shirley’s office, there is a moneychanger, but rate for reales was poor. The owner didn’t even want to buy USD (!) „because there is little demand for dollars”. Good news is that since 2014 you can also take Guyanese dollars out of an ATM. There are two ATMs in Lethem, next to each other, and we managed to take out money from a Polish bank account / Mastercard debit at Republic Bank of Guyana. Minibuses to Georgetown (three companies with uniform prices) leave town between 17:30 – 18:00. Reservations are not necessary, at least one company (Carly’s) will send as many minibuses as required depending how many people will come to their stop. If you’d rather hitchhike to Annai, it should be possible very early morning or early afternoon when farmers supply trucks return from shopping trips. Annai does have a village centre, but when you travel along the main road it seems just like a bunch of houses well spread out on the savannah. Between Lethem and Annai there are virtually no houses, only pure savannah. There are two cheap accomodations in Annai. The first one is Oasis, a stop for minibuses located just on the main road. A big double-occupancy cabana at Oasis costs 70 USD (but was offered to us at a very discounted price on the second night we stayed). The cheaper option is hammock for 1000 GYD per person (5 USD). It is also possible to pitch a tent (same price) in the nice garden. Toilet facilities are clean. Food is also good, and it’s just 1000 GYD (5 USD) for breakfast or lunch or dinner. In Oasis ask for Rafie Daniels. Rafie served food at the counter when we visited. He rented us his motorcycle for the whole day for 7000 GYD (35 USD), which already included petrol for 120 km (value of 1400 GYD). This arrangement was excellent, because we could drive when Rafie was at work. If Rafie doesn’t work there anymore, there surely will be another person with a motorbike who will likely strike a deal with you. The other accomodation in Annai is government guesthouse, which is just „a room with three mattresses”. It costs 4000 GYD for the whole room, but is located in the village proper, around 2 kilometer walk from the main road. It is therefore not a very good location if you plan to hitchhike along the main road. Around Annai there are very scenic hills covered with jungle, perhaps a good alternative to Lethem’s Kanuku Mountains. There is one official nature trail managed by Rock View Lodge, but a 60-90 minute walk costs 8000 GYD (40 USD) per person with a guide, or half the price if you want to walk alone. We advise you to walk or drive a couple of kilometres away where you can walk for free anywhere you want. 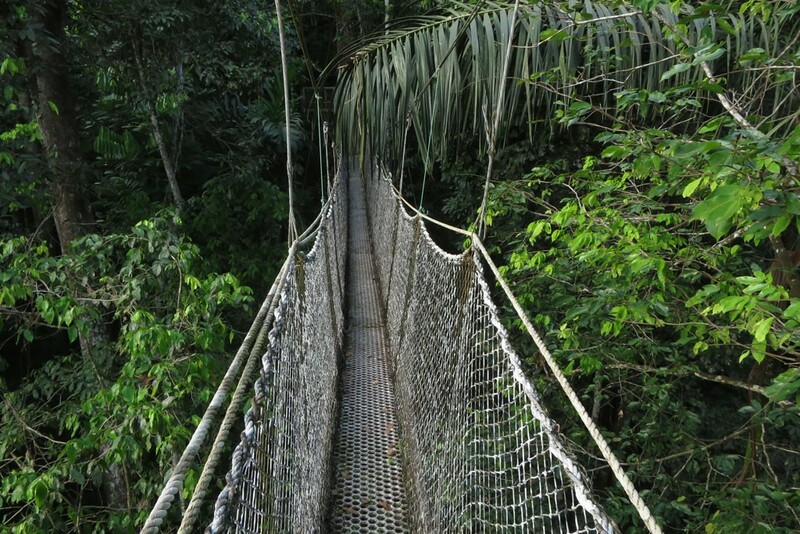 With two wheels it is also possible to reach Atta Canopy Walkway, 51 km away from Oasis. On a motorcycle you can get there in 90 minutes. The walkway is managed by Atta Lodge. Lodge charges 250 USD for a double room for a night, which includes food & unlimited access to walkway. There is no hammock space available anymore, contrary to what guidebooks write. If you want to see just the walkway, they charge 5000 GYD (25 USD) each. We found this place by coincidence. This great backpacking island is located on the Essequibo River, just next to the spot where the minibuses make the ferry crossing. Michelle Fredericks runs a snack stall on the Georgetown-side of the river, from where it takes a minute to reach the island by small motorboat. Michelle’s mobile is (+592)6395716. It was also possible to book by calling her daughter in Georgetown (+592)6225573. The island is very conveniently located, as minibuses to both Lethem and Georgetown cross the river at 6:00-6:15 AM, enabling you to travel on public transport in both directions. It is just two kilometres away from expensive Iwokrama Lodge, which means it offers a similar level of access to the Iwokrama Forest. Probably the best thing about the island is that it offered very good value for money, especially considering the level of prices in Guyana. In 2015 the price was 4000 GYD per cabana (6000 GYD if you need electricity/generator), which was an equivalent of 16 USD for two people a night. For this price we had a whole tropical island to ourselves. True, there are three cabanas on the island, so in theory the maximum amount of tourists on the island might rise to six. True, the place was not in perfect shape, and could do with some painting. But this was still the whole island for 16 USD, and you are nearly guaranteed to be on the island alone (well, unless our blog is more popular than we think). Activities which you could arrange on the island are similar to those offered by lodges. You can do boat river trips, caiman-spotting (dry season only), jungle walks, visit Amerindian village of Fairview, etc. During the two days we spent on the island we spent 120 USD, which means a budget of 30 USD per person per day. If you follow our advice, you could visit Rupununi, explore quite a lot of the area, and manage to close in the budget of 30 USD per person per day. 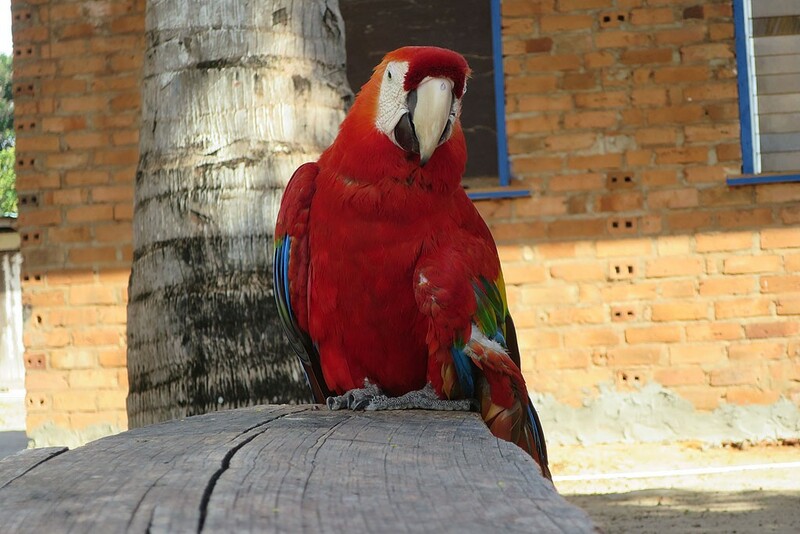 It is more money than you would need to travel in Brazil, but is still a couple of times cheaper than any lodge accommodation in Guyana would cost you. We hope you found this blog entry useful. 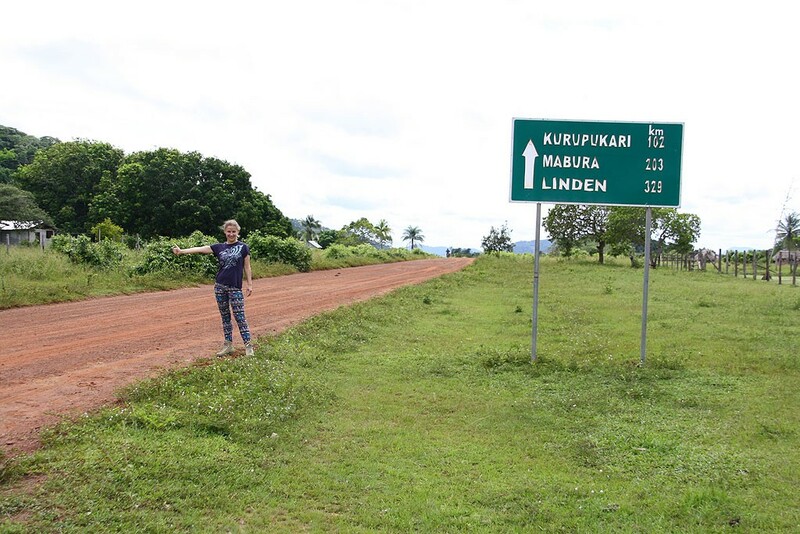 Remember, the places we described are not by any means the only interesting and affordable places in Rupununi. We encourage you to explore, to ask around. And after your visit the region, we invite you to come back to this blog entry and leave an update for fellow travellers! Please, accept my compliments for your excellent description of the Rupunini area. I will travelling next month there, from Lethem to Essequibo River, and indeed your tips have changed completely my plans. Very nice writen, very objective and helpful. Many thanks for taking time to leave such a nice comment. 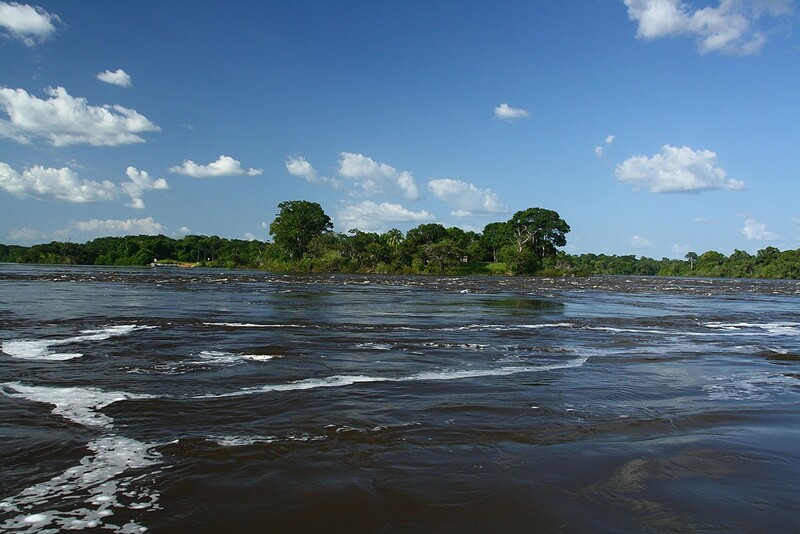 We hope you will enjoy Guyana and please let us know how your trip went! Bus is now: 45/50 US$ Georgetown to Lethem (Depending on which bus service you choose). If you are only going to Annai is it possible to catch a village bus by Betty’s snackette for 20 US$. It is a village bus that runs all days except weekends. Oasis is temporarily closed(Do not know when it opens again). If anybody end up in Annai and don’t want to pay for the expensive Rock view ask for Annai village guest house. Think it is something like 12,5-20 US$ pr. night for a room. Hi Anders, thanks for coming back and leaving an update for fellow backpackers! Warm regards from Poland. Hello guys! In about two weeks time we are doing the very similar trip. We are planning to take a van from Lethem in the evening. I guess, that all passengers sleep BEFORE Iwokrama, so that the van wont drop us off outside Iwokrama Canopy tour in the middle of the night, right? According your descriptions I understand, that all minivans cant travel through the park after 17,30, so they make couple of hours from Lethem and then they overnight on the Surama junction till then they open the gate and the borders over the park are passable, right? The plan is, jump off the minivan at around 5 a.m. outside the Iwokrama Canopy tour. Making the tour without paying ridiculous amount for overnight staying and then after couple of hours, make it to Michelles island. Is there any chance to hithchike and get to Michelles Island from after 9.am. till the dusk? 🙂 Or, you suggest to pay for the private transport from Iwokrama Canopy tour (alternatively arrange one from Michelles island over the phone in advance from Lethem?). And the last question is: Do you think, that it is possible just walk in to Michelles kiosk and find a guide for 2 days trip without previous pre-arrangement? Do you have any tips? Many thanks for all trevellers for covering this beautiful piece of world! Hi Milan! Thanks for dropping by on our website. Let me go one by one through your questions. Yes, unfortunately this is correct. And the distance „gap” is just 30 kilometers. I suggest you hitchhike. The reason is 8-9 AM is still quite early, so some drivers might still be heading to Georgetown and reaching capital before sunset. Just don’t be surprised if you have to wait a couple of hours in the jungle, so get some drinking water and snacks in advance. I would not try to arrange private transport, Iwokrama will charge you minimum 100 USD, possibly even 200 USD and this is not worth the money. Worst case scenario if there is no traffic you can pay directly the ranger at Canopy to drive you to Essequibo. Have an awesome trip and say hello to Guyana from us (we miss it here in Europe). I come back to you, after we have returned back. This was exactly what I was looking for! As a birdwatcher I will visit the area next July & August (2017). Unfortunately I do not belong to the wealthy birder-community that seems to hop from lodge to lodge all around the globe! So I’m happy that you wanted to share your travel experience! Dzienkuje bardzo! Glad to hear that Rob, we wish you an exciting trip! PS. Podlaskie region, Poland, where we live at the moment, is also quite a popular destination for birdwatching. Consider visiting us with pictures from Guyana 🙂 Pozdrawiamy! This is so informative and wonderful and now I definitely want to make a couple of days stop at michelle’s island in 10 days or so. I’d given up on the region as outside my budget but will try getting in touch with michelle tomorrow. One Question, From there when I finish with my stay is it easy enough to get a seat on the bus to georgetown or do I need to book that before hand?Thanks so much for your help and for any advice you can give. 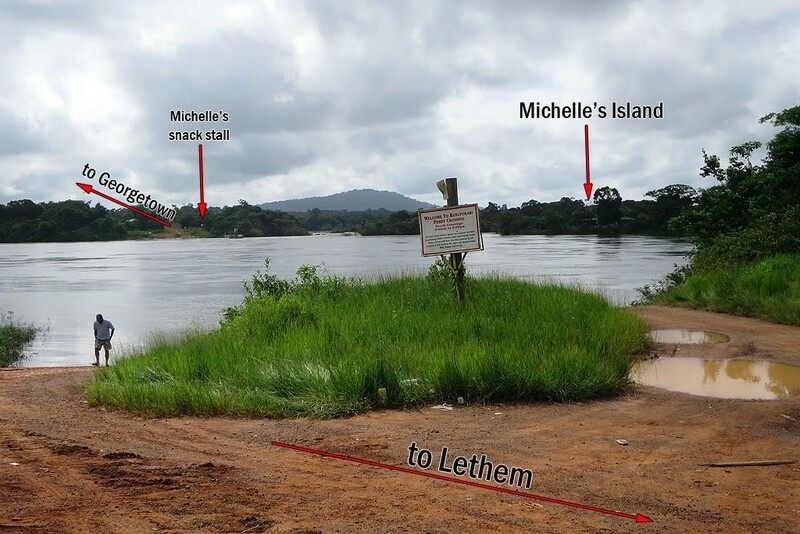 No need to worry about spare place on the minibus, all the drivers know Michelle as they cross the Essequibo on every journey; she should be able to fix you a place on a minibus easily. PS. Please pass best regards to Michelle from us, we hope she is doing well. Thanks so much for your very informative description and suggestions! 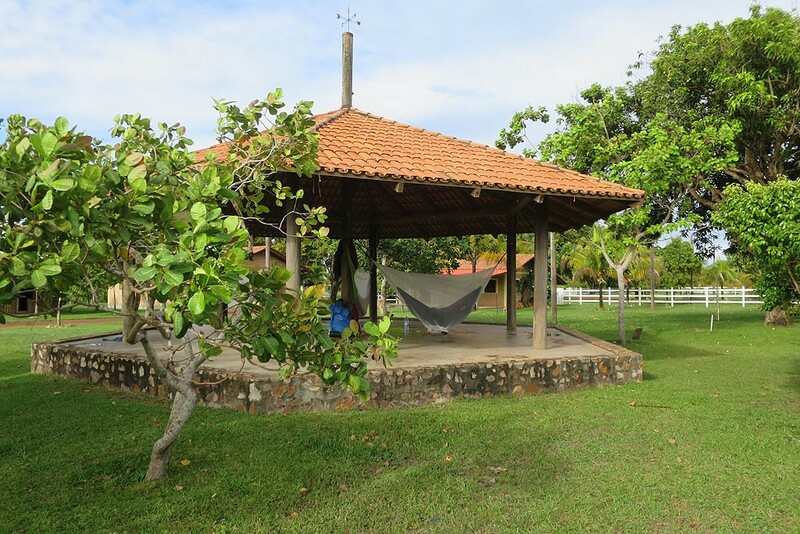 I’d like to ask a beginner question… at the lodges where one can sleep in hammock, do they provide hammocks or does one need to bring his/her own? Thank you! Hi Vivian, happy to hear that you found this blog entry useful! Hi radek, great description. Do you know by any change if in georgetown or Lethem there is a possibility to rent or buy a (used) dirtbike? I’d prefer to be more flexible and independent . Have you seen whether the boats that cross the rivers in Guyana are able to transport bikes as well? Again thanks or setting up this very informative blog. Hi Sven, first of all, thanks for leaving a comment! 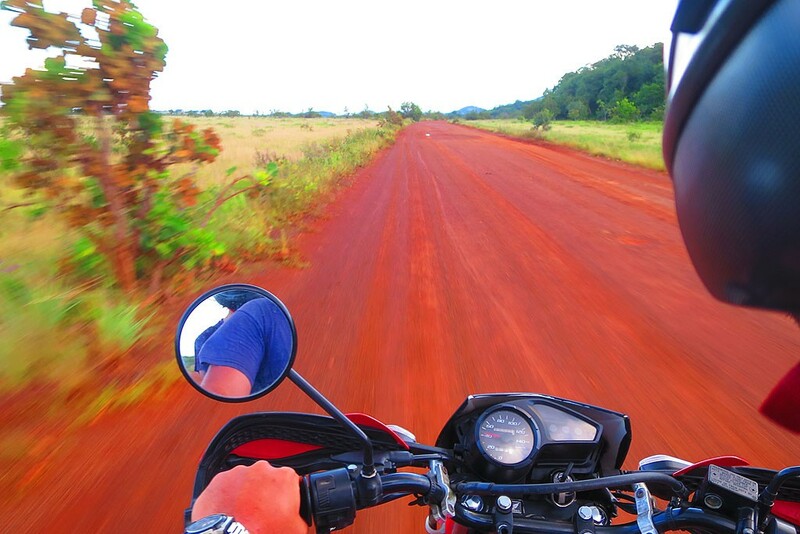 Unfortuntely, we didn’t see any motorbike rental place in neither Lethem nor Georgetown. There are very few agencies catering to tourist (except very expensive agencies for luxury travellers). Renting a bike in Georgetown might be very tricky. The only option I see would be to ask in guesthouse, hostel, etc. Maybe ‚someone knows someone’. As you can imagine, you would need some luck in the process. Overall, in Georgetown buying should be easier. I suggest asking someone local to accompany you to the market. Lethem could be different. After all, it is a small village, so paradoxically people might be more keen to rent their own wheels for a couple of days. Again, some amount of luck would be required. Buying in Lethem will not be an option. All the boats we have seen in Guyana are able to transport a motorbike, that should be no problem. Great- thanks for the advice. I am in Lethem now and have found your blog very helpful. Thank you for taking the time to put all that information together. Think I will head straight to Michelle’s Island. I am afraid we are not travelling as much… as we ought to!! !